- Commentator Tim Hutchings perfectly summing up the women's 800 at the Zurich Diamond League meet yesterday. Coming in at 100/1 odds, Kenya's Eunice Sum was a shocking victory at the 2013 World Championships, but backed that up winning the overall Diamond League series title (and $40,000) by taking first here in Zurich and in Stockholm last week. SYMMONDS 1:43.56 FTW in Zurich, out in 50.52. What can Defar run for 1500 right now? MB: DEFAR last lap 58 sec --> 14'06" potential !!! MB: Why the heck is Jordan Hasay still racing? 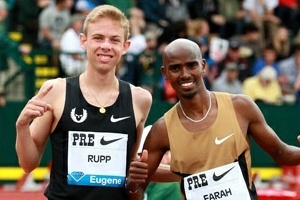 MB: Centro- Did he follow Kip @ Zurich, to better learn his Gold rival? MB: Centro? Legend in his own mind? 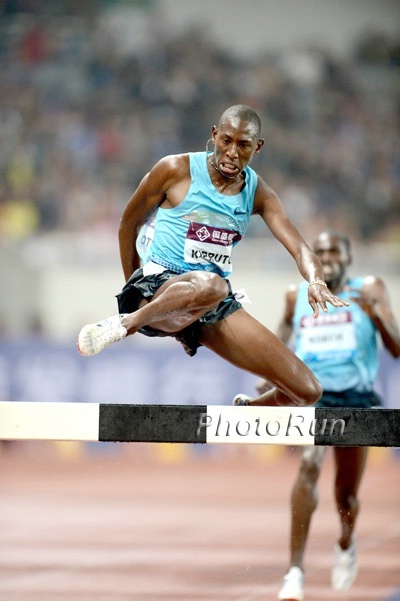 MB: Zurich 5,000m - Defar or Dibaba, who wins? MB: Universal Sports is now LIVE on TWC (HD)! Valerie Adams' World-Leading Indoor PR (20.98) Wins 2013 DL Title For Her The shot put was held a day early in the train station. Shin Splint Treatment Remains Mysterious: Study Finds That There Is No Consistently Reliable Treatment They tested with leg braces, ice massage, ultrasound, extracorporeal shockwave therapy, and iontophoresis (which involves passing an electric current onto the skin) and found that no treatment was effective for everyone. The New Heart Rate Monitor? Lactate-Measuring Biosensor Tattoos Could Be Used To Monitor Intensity During Exercise Could be used as an easy way to find your lactate threshold pace in workouts. LRC Jenny Simpson's Coach Mark Wetmore: "It's not a record attempt by any means. Just get in the race and respond to what's presented to her." LRC talked to coach Wetmore about the Zürich 5,000m, the Brussels 1,500m, 2014, Jenny's future in the steeplechase and whether Wetmore is actually surprised Simpson is a 1,500m runner. *O’Rourke Feels She Should Be Upgraded To Gold From 2010 Euro Outdoor Champs "It's not as if she was just on drugs this year ... I don't think the punishment really fits. I doubt she will have to pay back the money she has earned and I can't see her writing me a cheque for all my lost earnings." JumpingTheGun Journalist Criticizes The Athletes And Media At Worlds For Avoiding Talking About The "Steroid-Fuelled Elephant In The Room" Doping Athletes either gave non-answers or absolutely no answer at all. Wada Revokes Rio de Janiero Drugs Laboratory's Licence For Repeated Failure To Meet Dope-Testing Standards This is the second time it's been suspended as it was also popped in January 2012. *14 AK Branches Demand For A Special General Meeting To Discuss Their Issues With The Constitution One member said, "If Kiplagat does not call for an SGM after 14 days, we are going to march to Riadha House and pull him out." More Coverage From Outside LRC: Gemili (10.06) Bemoans His "Rubbish" 100m In Zurich Bolt told Gemili to enjoy the big meets more and and not get nervous. Matt Tegenkamp Coming Into His Title Defense At Monday's US 20k Champs A Year Stronger And A Year Wiser Teg is using the 20k as part of his buildup for Chicago and talks about doing more a ton of volume and being so tired last week he just "wanted 5 days off". USATF Preview: Teg Faces Abdi Abdirahman, Ben Bruce, Jason Hartman, Andrew Carlson, And Patrick Rizzo Mattie Suver leads women's field along with Jen Rhines and Delilah DiCresenzo. Comrades Marathon Race Director: “Comrades is an extremely hard race and hard is what makes it great." LRC Mid-D And Steeple Preview: The Titans Clash: Men's 1,500 And Women's 800 Might Be Higher Quality Than Moscow The winner of the women's 800m will take home $50,000 and the field includes Eunice Sum, Savinova, Alysia Montano, Ajee Wilson and Caster Semenya. 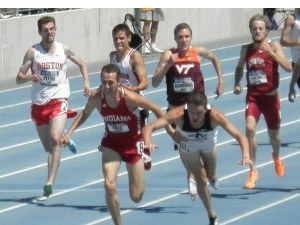 The men's 1,500m is tougher than the Moscow final. How Are Your Knees? 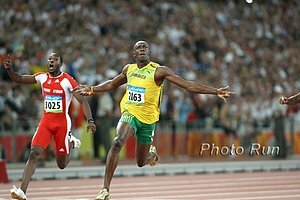 Long-Term Study On Jamaican Youths Finds That "Knee Symmetry" May Predict Sprinting Success Study found that the Jamaicans who had more symmetrical knees as children were better sprinters as adults. Veteran Sportswriter Says That For U.S. Sports Fans, Track Barely Registers Anymore "(There) was a time when the Summer Olympics were little more than an excuse to hold the world's greatest track meet. Now, television devotes much more of its main-channel focus to swimmers and gymnasts." November 2nd: 49-Year-Old 4-Time Olympian Colleen De Reuck & 16-Year-Old HS Junior Alana Hadley Going For OT "B" Standard Of 2:43 At Indianapolis Monumental Marathon If they hit the time, they could potentially be the oldest and youngest competitors to compete in the 2016 Marathon Trials. Q&A With Canadian Steeple Record Holder Matt Hughes As a kid, he once dreamed of beating Donovan Bailey's 100m time, but had to settle for another Canadian record. Julius Kogo Won His 4th-Straight Crim 10-Miler Over The Weekend (45:54) Former Wichita St. runner Aliphine Tuliamuk-Bolton won the women's (54:26). Kenya's Geoffrey Korir And Rodgers Maiyo Go 1-2 In Boys' 10,000 At African Junior Champs Korir ran a Championships record time of 29:41.01. LRC Jenny's Medal Shines The Brightest, Ajee Surprises, Dejen And Genzebe Flop, The US Is Better Than Ever - 15 Thoughts Looking Back At The 2013 IAAF World Champs Now that we've had some time to recover and think about it, we take a look at the back and hand out awards for the 14th World Championships in Athletics. Read to find out who is our Best US Performer, our Biggest Flop (male and female), Biggest Surprise (US and international), our Comeback Athlete, Classiest Post-Race Interview, Biggest Bonehead, and a whole lot more. 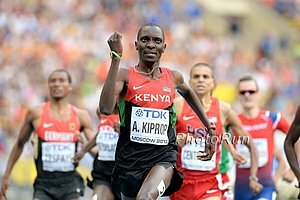 Along the way, we wonder why Ezekiel Kemboi wasn't disciplined, praise the US for its best performance ever and even praise Molly Huddle and Shannon Rowbury for allegedly packing it in early in the 5,000. South Africa's Surprise World Champs 1,500 Bronze Medalist Johan Cronje Says "Belief" Is What Kept Him Going Through Years Of Injury Troubles And It Finally Paid Off He knew he was going into a good year when in his second race of the season ,he broke the 20-year-old SA 1,500 record with 3:33.46 in his second race of the season, finishing 8th at the Doha DL meet. Interview With Agent And Melbourne TC Coach Nic Bideau On The Current State Of The Sport And What Can Be Improved From new Ireland based website, JumpingTheGun.ie.